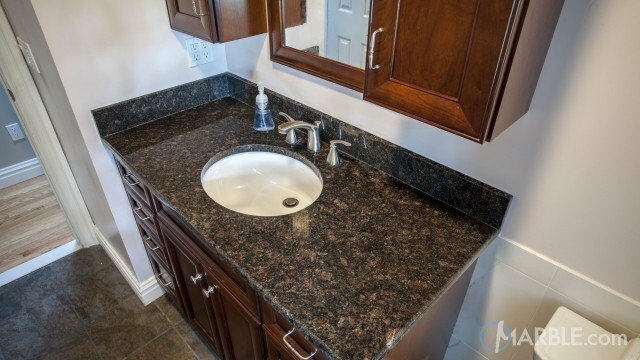 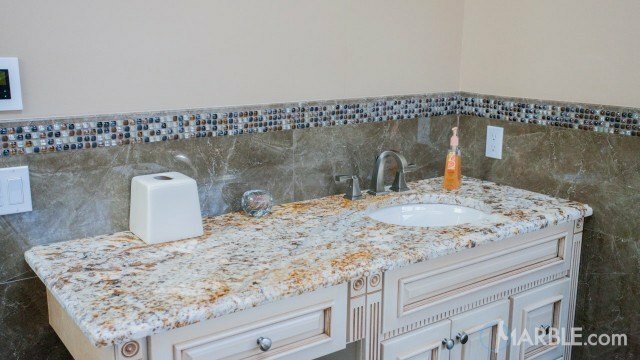 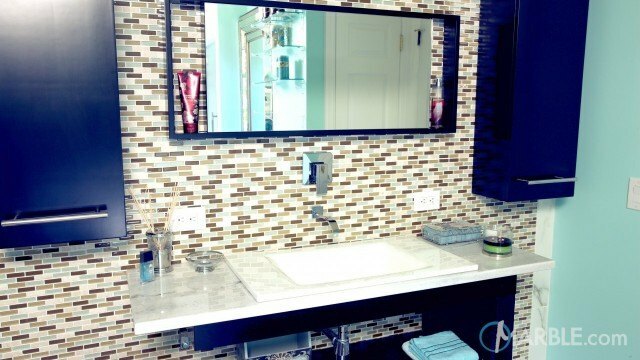 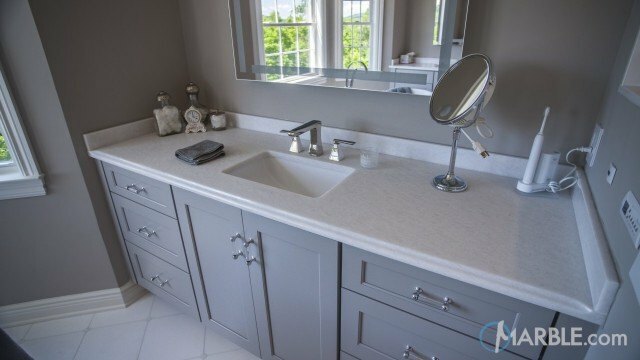 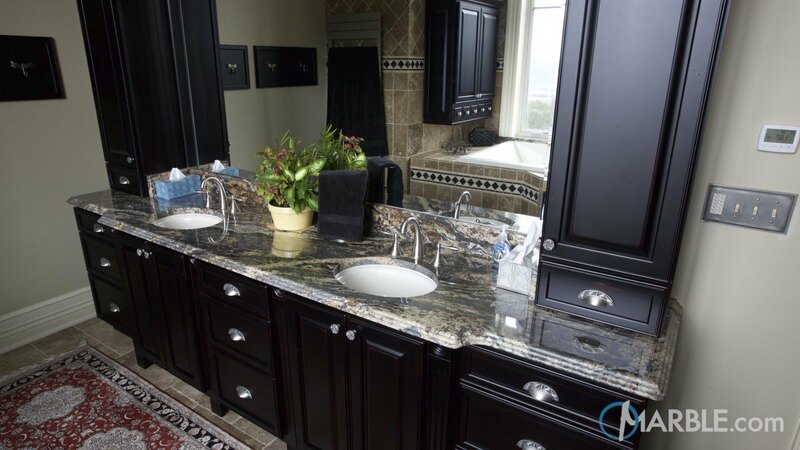 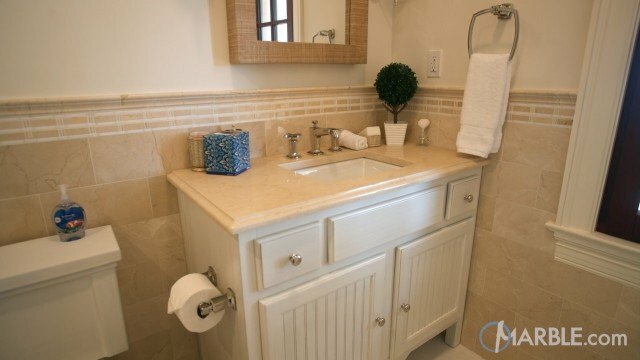 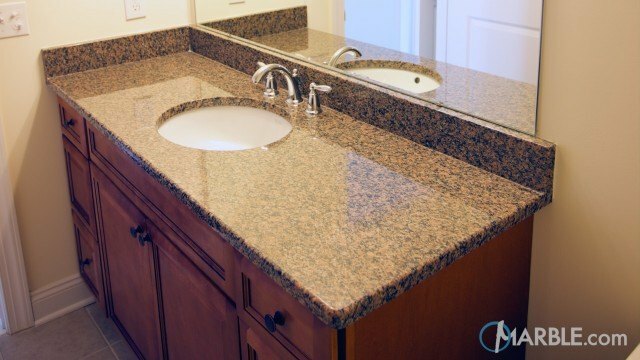 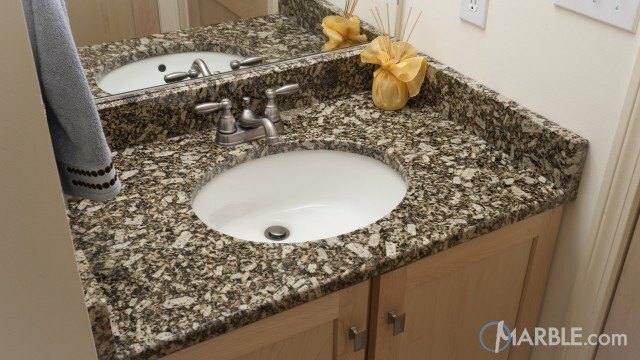 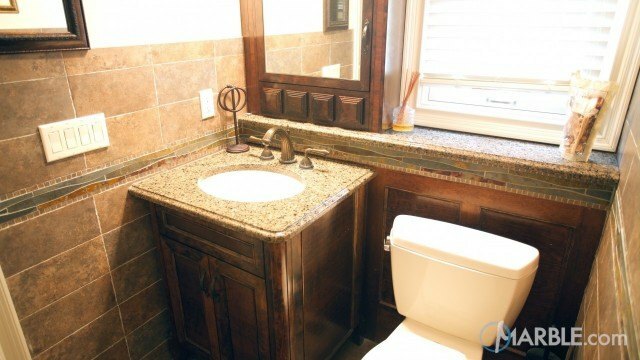 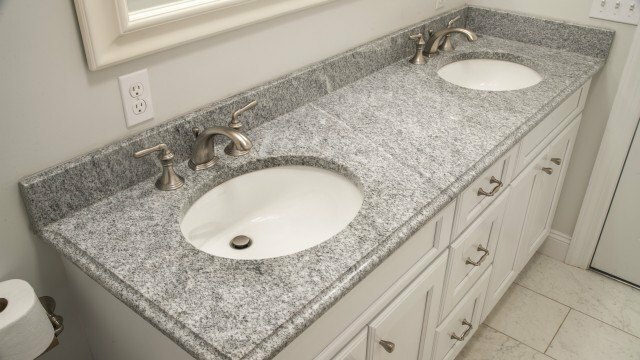 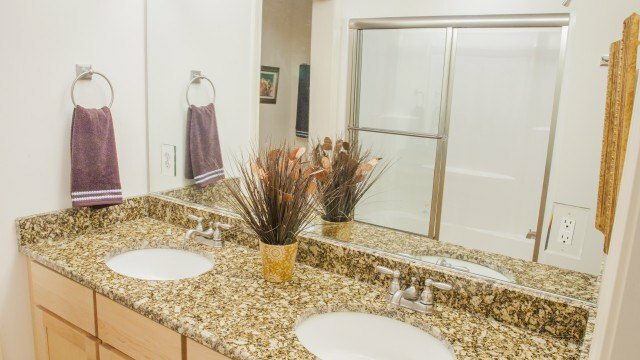 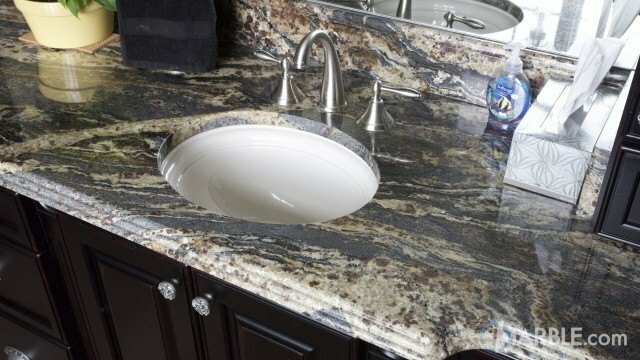 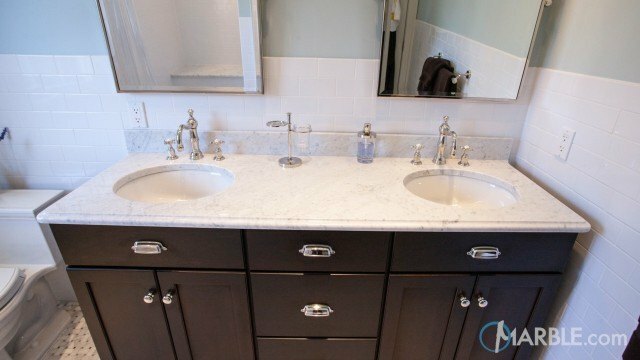 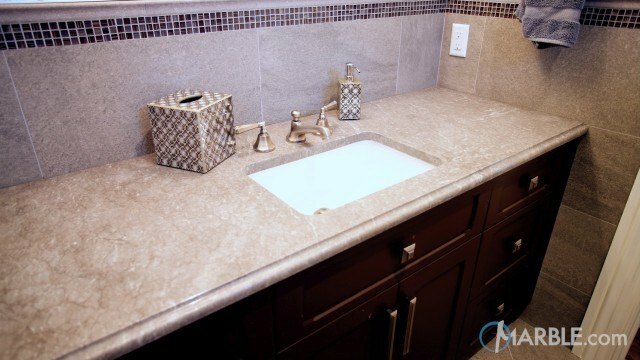 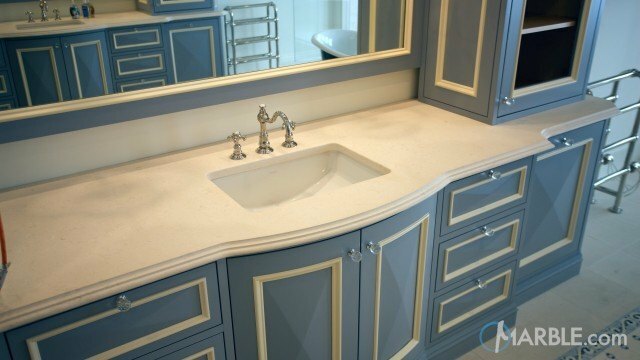 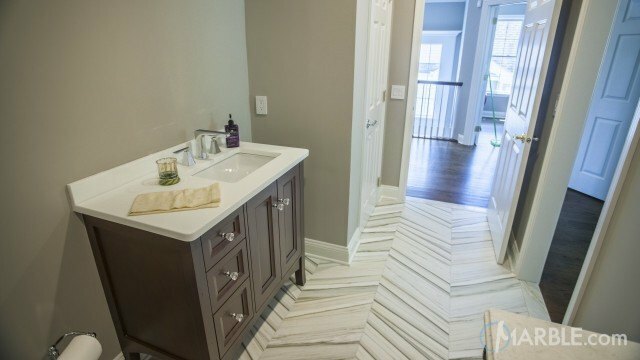 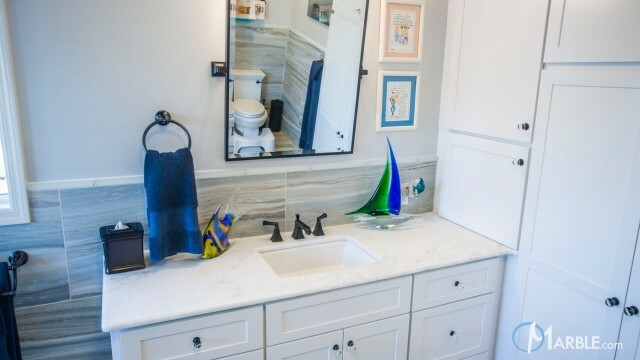 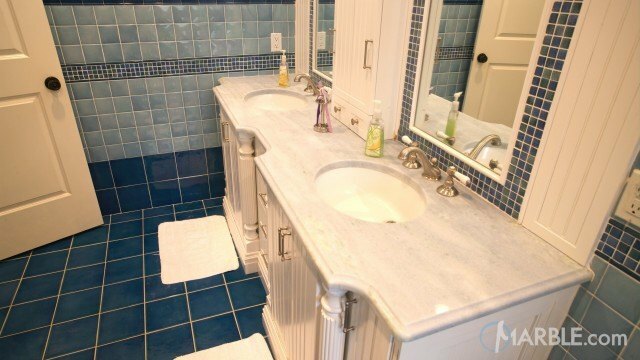 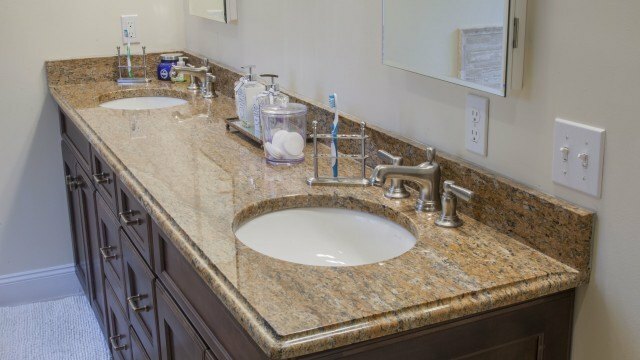 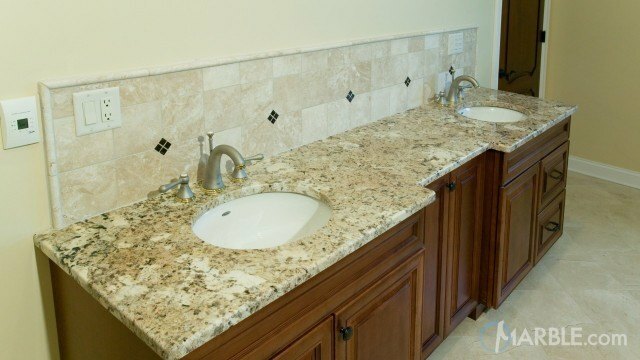 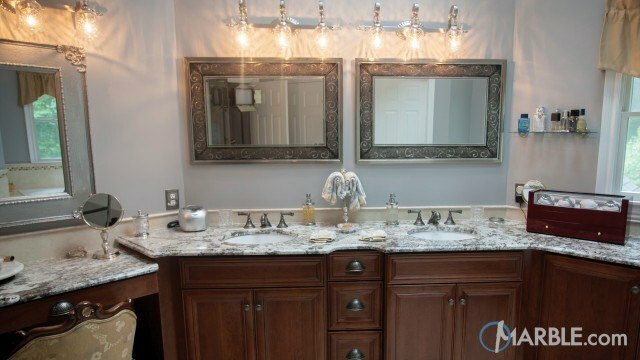 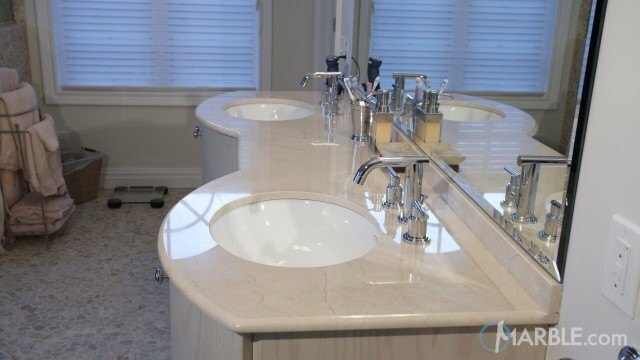 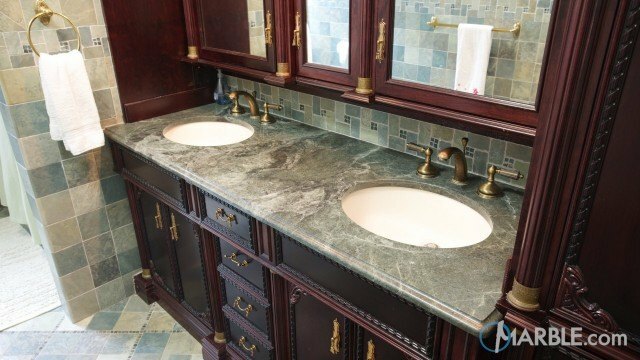 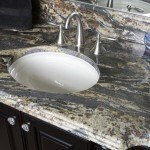 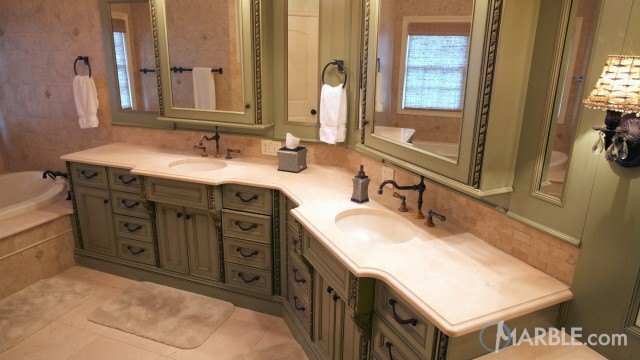 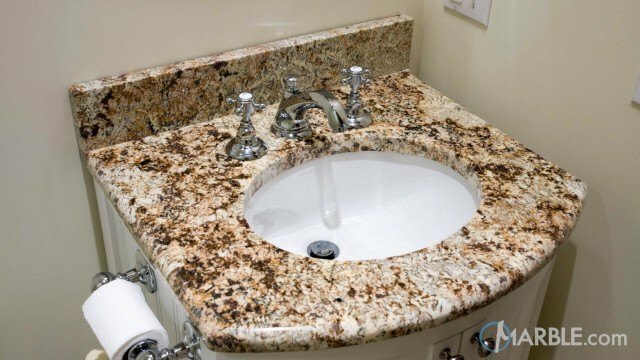 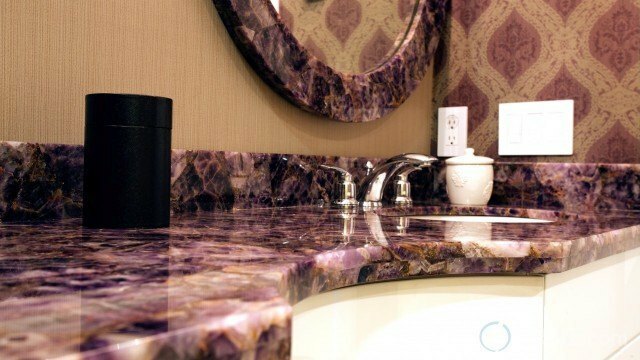 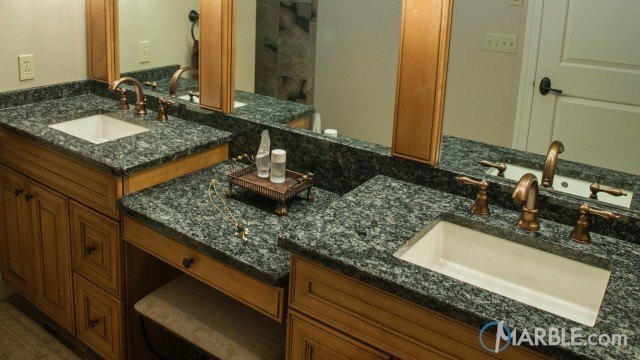 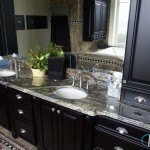 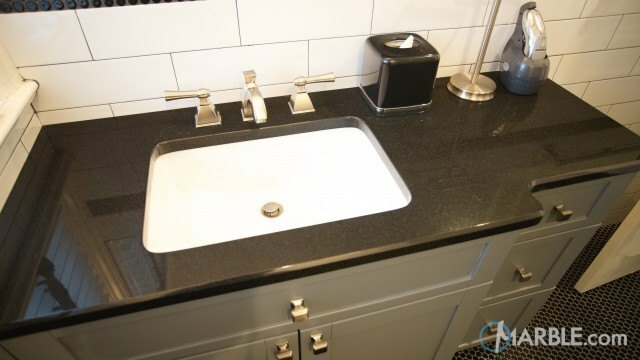 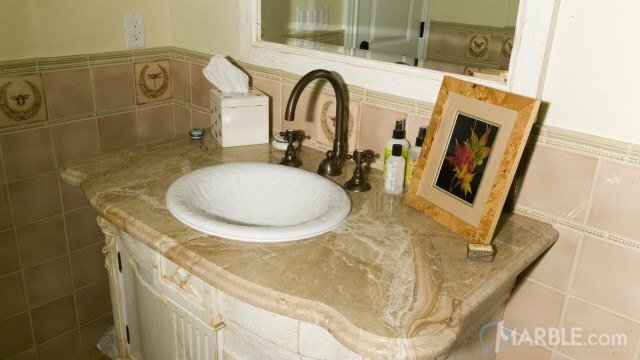 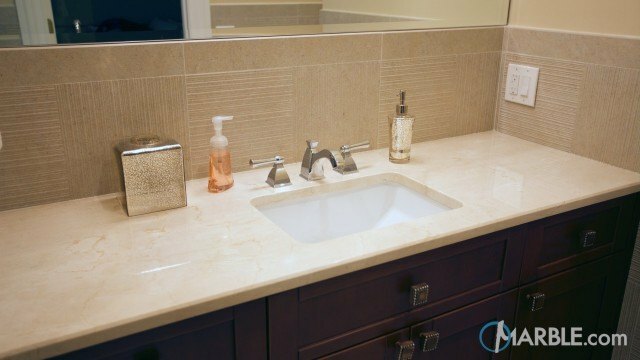 Black Thunder granite adorns the vanity in this luxurious washroom. 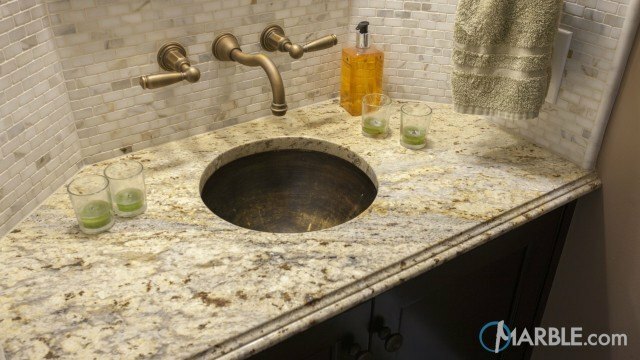 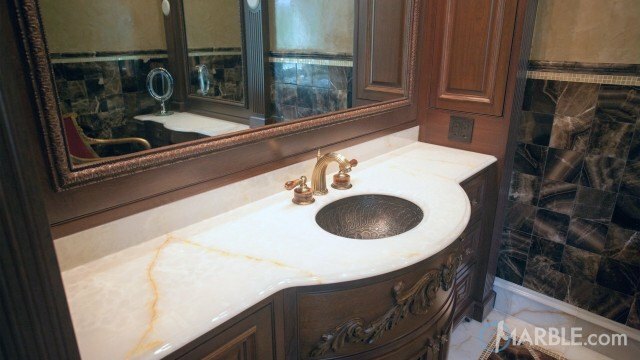 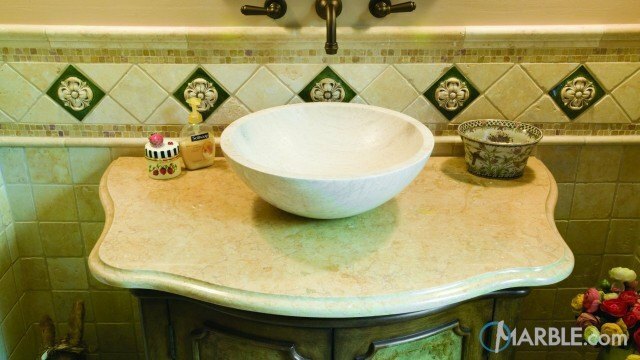 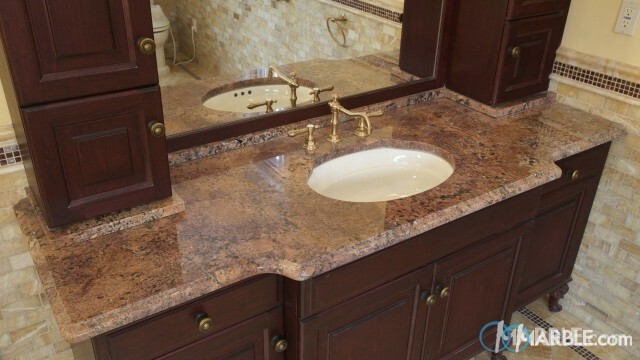 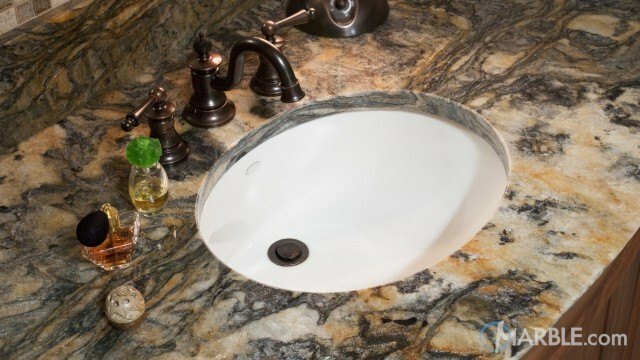 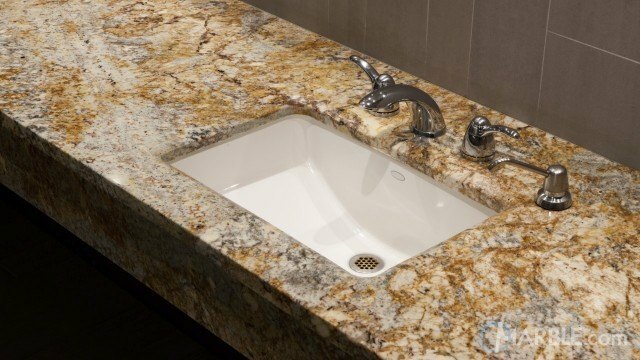 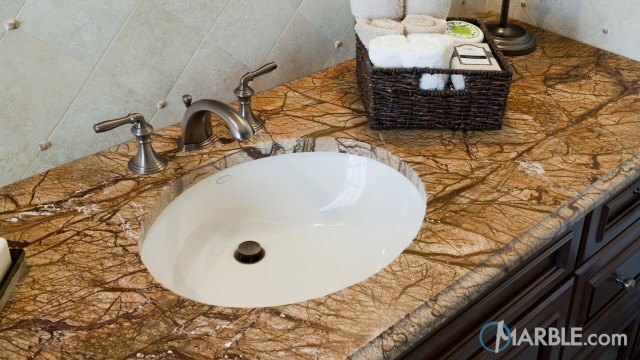 The his and hers sinks sit embedded among the beautiful black, brown and white veins that flow through the stone. 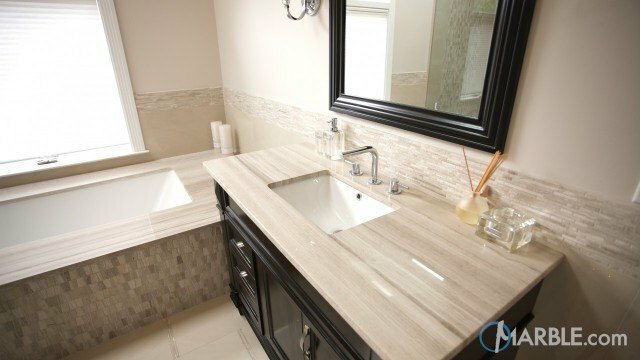 The Waterfall Edge adds an additional touch of class and the dark cabinetry contrasts the light wall color and accentuates the natural stone. 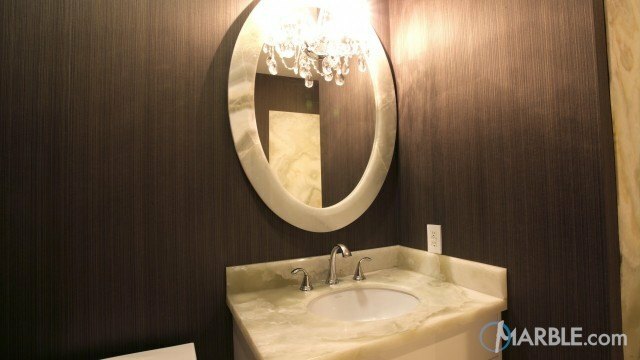 The large mirror provides ample viewing area for all purposes and opens the room up, making it feel even larger.